3D printed high heels are coming and this no longer sounds scary. Actually it can be quite interesting as the latest creation by an Italian designer show. The guys as Gruppo Meccaniche Luciani, who specialize in making tools and moulds for shoe manufacturing have developed a new service called rapid prototyping, CNET reports. “3D printing enables us to offer a new line of items to our clients. We can design and 3D print realistic prototypes in a matter of hours and incorporate any required design iterations before starting full production,” says Gruppo Meccaniche Luciani’s Elisa Luciani. Sounds cool, right? Well we are interested in the shoes. And they are quite interesting. The new 3D printing technique allows for the use of several different materials, including flexibile stuff. This means that the shoes can be comfortable yet allow for almost any design you can think of. And we do mean any design. All you need is someone with decent computer skills who can draw the prototype. Then it is off to the 3D printer to create your high heels. Now Gruppo Meccaniche Luciani can’t really recommend that you start wearing 3D printed high heels right now. But the technology is developing fast. 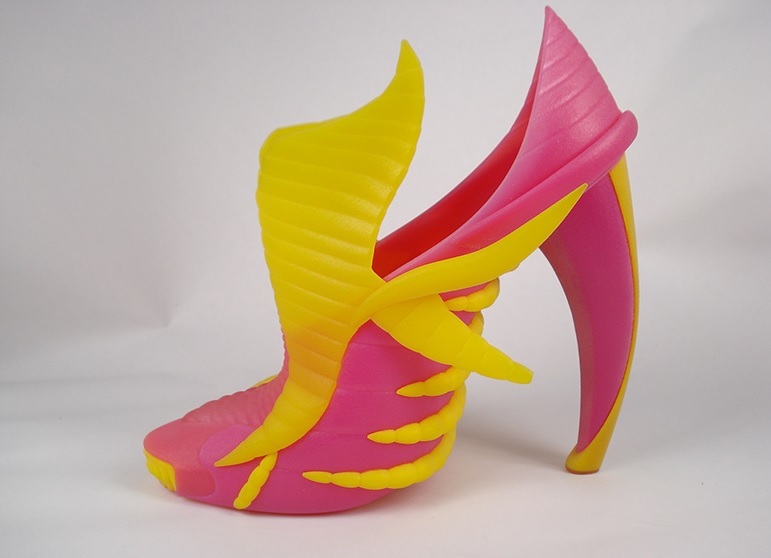 It was thought impossible to even think about making normal shoes with a 3D printer, let alone fashionable high heels. So it is pretty obvious that it is only a matter of time before you will be able to order a pair of custom high heels for you to wear. Or mabye even see your own designs take shape in the real world.